Below are details of just a few of our very good friends. DDA Watch believe that no dog is inherently dangerous by virtue of its breed alone and that, by focusing on certain breeds or types of dogs instead of placing the emphasis ofresponsibility on the owners and breeders of dogs, we fail to target the real core of the issue. 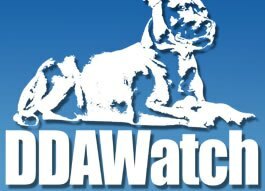 DDA Watch assists pet owners who are facing legal proceedings, for example under the Dangerous Dogs Act and advises and helps dog owners in preparation for court hearings. We cannot thank Andrew at Imprint who dropped everything to personally assist and shoe our horse Quina during her troubles with Laminitis.